25 Reviews of Christmas #21 - Memories of Bruce Springsteen and the E-Street Band's "Santa Claus is Coming to Town"
Time for a music review! Today I’m taking a trip down memory lane, looking at Bruce Springsteen and the E-Street Band’s rendition of “Santa Claus is Coming to Town,” a live single that’s been a radio classic for years! Remember to visit this page at any time for a collection of all 25 Reviews of Christmas articles. But my first exposure to the E-Street Band came long before 2008. When I was little and computers first started getting writable CD drives, my father became obsessed with making mix CDs. He had tons of them, even getting one of those now outdated label makers that printed a sticker onto the CD for a track-listing. At Christmas, he went into overdrive, producing all kinds of festive mixes for long Holiday drives or just sitting in the living room admiring the Tree. One of these CDs had a version of “Santa Claus is Coming to Town” that I immediately fell in love with. This recording was far from traditional, which meant that it wasn’t dull or predictable or tired like all the other Christmas songs I was growing up with. This version was exciting. This version rocked. I distinctly remember asking my Dad who did the song. We were driving in a car we haven’t owned for years now. “Bruce Springsteen,” he said. It was probably the first time I’d ever heard the name. It sure as hell wouldn’t be the last. But for the time, that was all I knew of Springsteen; I wasn’t yet aware enough of music to associate one song I liked with the full career of the performing band, so I didn’t hunt down any of Springsteen’s other work. He was just the guy who did that awesome of version of “Santa Claus,” and that was that. Eventually, that mix CD fell by the wayside, and for years, I didn’t ever hear the song; it wasn’t until I became a fan of Springsteen that I re-discovered the E-Street Band’s festive hit, and by the time I did, I hadn’t thought of the recording in years. It was when I got the “Darkness on the Edge of Town” special re-issue box-set, the incredible six-disc collection of CDs and DVDs containing the remastered album, unreleased tracks, documentaries, and concerts (it was the subject of the 500th review I ever published). One of the features was a DVD containing an uncut Houston concert from December 8th, 1978. I was having a great time watching it, experiencing the E-Street Band at their best, when suddenly, a few familiar chimes signal the start of a new song. I am immediately pummeled with Déjà vu. I know those chimes, I think. But from where? This isn’t one of his songs…is it? Then Springsteen starts passionately singing – “You better watch out, you better not cry…” – and it hits me. This is “Santa Claus is Coming to Town!” It’s the version from my childhood! And this is where it came from! My mind was officially blown; I had loved Springsteen’s music all my life without ever knowing it! My fandom had suddenly come full circle. Allow me to back up – for those who aren’t familiar with the E-Street Band’s version of “Santa Claus,” it’s a cover the band only performs in concert, and it originated early in their career. 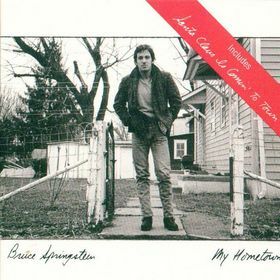 Most people are familiar with the recording found on the B-side of the “My Hometown” single from 1985 (this version was taken from a 1975 New York concert), which has since been re-released as its own single and has resurged in popularity over the last decade thanks to full-time-Christmas-music radio stations. There are many versions of the song, though they all begin with Bruce saying a few words to set the scene, talking of snow on the Boardwalk and asking the band whether or not they’ve been good, doing their rehearsing and such. Then there are the chimes, a simple but memorably melody that immediately conjures festive thoughts. In my favorite recordings of the song, we next hear Santa Claus himself, laughing his trademark “Ho-Ho-Ho” softly at first, but slowly getting louder, as though he is arriving But it isn’t really Santa – it’s the late, great saxophonist Clarence Clemons, the “Big Man,” using his booming voice and large stature to belt out some rich Holiday merriment. Then Springsteen comes in, singing the first verse passionately, as though these lyrics are an important message we should all take to heart. Now the song begins in earnest as the whole band comes in and begins rocking out. And It. Is. Awesome. It’s “Santa Claus is Coming to Town” as only the talented E-Street Band could perform it; they make the song their own through and through, treating it with the same enthusiasm they do all their material. But as with many of their most famous numbers, no band member is more integral to the song’s success than Clarence Clemons. In fact, if you’re still mourning the Big Man’s death like I am, there are few better performances that so celebrate his incredible career. His mammoth, endearing personality shines through at every turn; not only does he do the Santa laugh, he tweaks his entire Big Man persona to Santa Claus for the song; he would wear a red Santa hat on stage, banter about and when Bruce sings the line “you better be good for goodness sake,” Clarence would repeat it in his low, wonderfully rich voice, as though Santa has made a pit-stop on his journey to reinforce the message of the lyrics. And then there’s the Saxophone solo. It’s one of my favorites. Like everything Clarence did, he takes the song’s melody and turns it into pure, unfiltered Rock and Roll, revealing the song’s true heart and soul in the process. After hearing the solo once, I think it’s impossible to deny that “Santa Claus” was always destined to rock. If you haven’t yet experienced this wonderful live cover, now, in the heart of the Christmas season, is obviously the best time to do so. Just flip on a Christmas radio station and stick around for a few minutes; I’m sure it will come on. I myself wouldn’t recommend the radio single if you want to hear “Santa” at its best, though; it’s very good, and as the only professionally mixed version, sounds the best, but it doesn’t have Clarence’s Santa laugh or some of the banter between Bruce and Clarence heard in later recordings. I would look for the version found on the “Darkness” box set from the 1978 Houston concert if you want the fullest, richest experience. 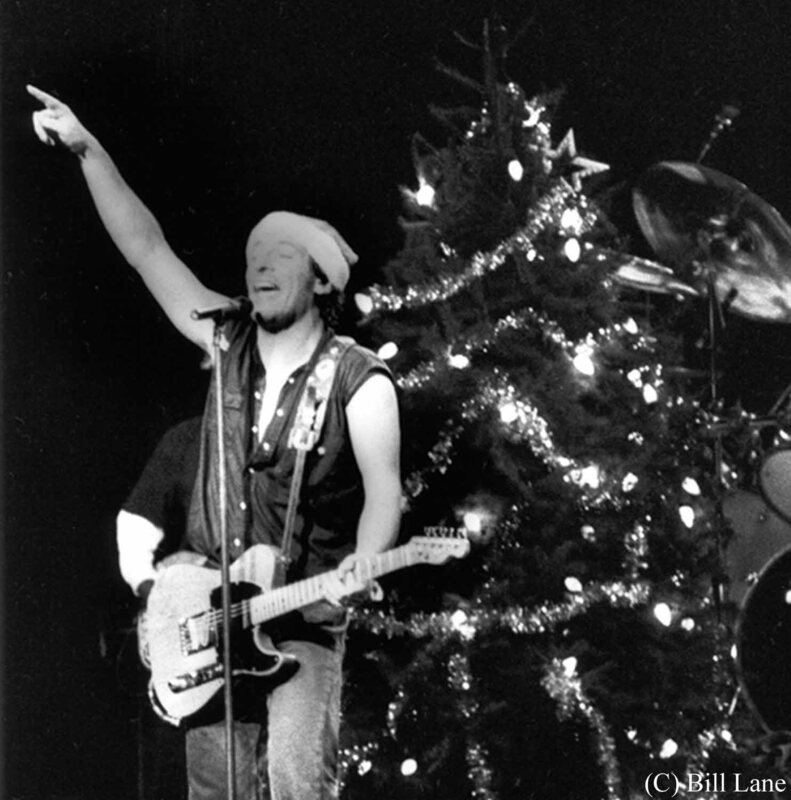 Also Recommended: As long as we’re talking about the E-Street Band at Christmas, fans should hunt down live performances of “Merry Christmas Baby” and “Auld Lang Syne,” both of which bear the band’s unique stamp (“Syne” is driven by one of Clarence’s all-time greatest solos). They can both be found on the “Nassau Night” bootleg, a recording of the Band’s infamous New Year’s Eve 1980 performance that ran for four hours, their longest-ever concert.